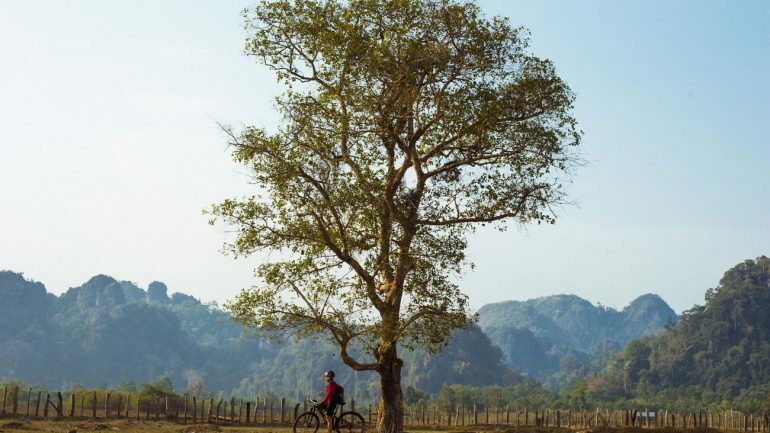 Blood Road follows the journey of ultra endurance mountain bike athlete Rebecca Rusch and her Vietnamese riding partner, Huyen Nguyen, as they pedal 1,200 arduous miles along the infamous Ho Chi Minh Trail through the dense jungles of Vietnam, Laos, and Cambodia. Their Goal: to reach the newly discovered crash site and final resting place of Rebecca’s father, a U.S. Air Force pilot shot down over Laos some 40 years earlier. Along the way, both women push their bodies to the limit while learning more about each other’s culture, the historic ‘Blood Road’ they’re pedaling, how the Vietnam War shaped each of their lives in different ways, and, ultimately, discovering more about themselves. Nicholas Schrunk is a award-winning Los Angeles based director and cinematographer who specializes in action/adventure sports and high-speed cinematography. He has directed top athletic talent across the board from pro-sports legends Tim Lincecum (MLB), Demarcus Ware (NFL), Devin Hester (NFL) and Anthony Davis (NBA) to top action sports athletes Ryan Sheckler, Travis Pastrana and James Stewart among many others. With a formal education in Biology and Design he combines reason-driven interest in science with the design principals of assembly and arrangement producing an inspiring body of work that is as technical as it is artistic.